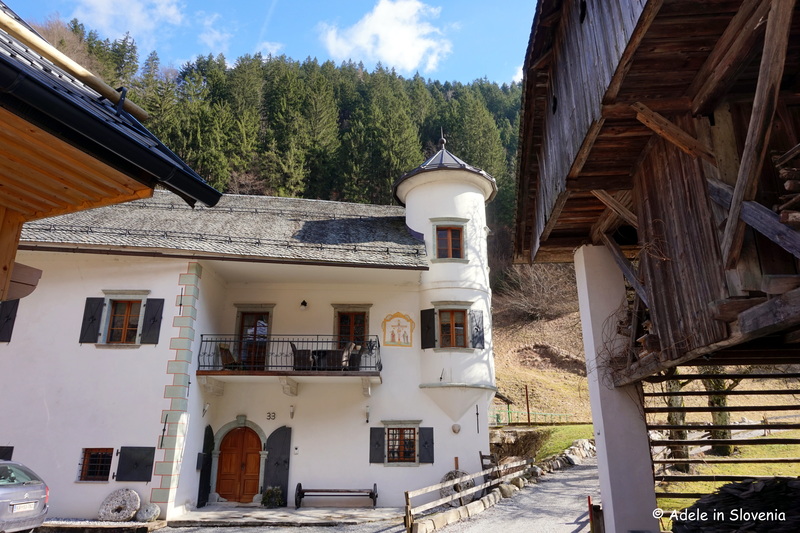 The small town of Železniki is nestled snuggly in one of the narrowest parts of the Selca Valley (Selška dolina). The town is split into the older ironworks area and the more modern industrial part. Walking through the old part of the town feels like taking a step back in time – in a good way – since it is untouched by the trappings of modernity i.e. ghastly shopping centres and the like, and the town boasts a wealth of tradition and heritage. 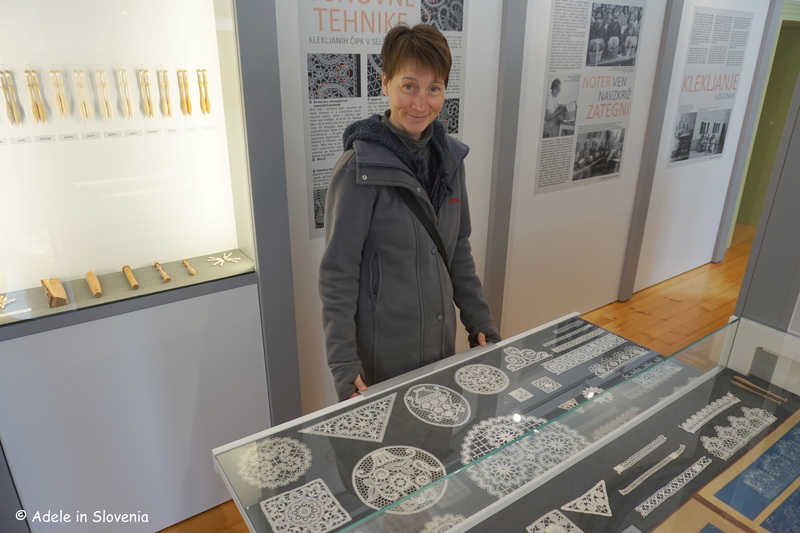 Železniki was once a centre of ironworking, and later, after the closure of the last blast furnace, the tradition of lacemaking began to flourish. 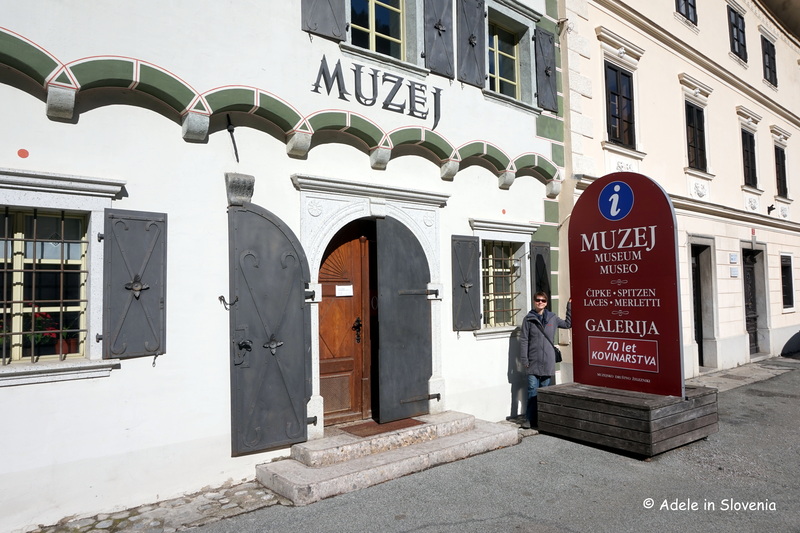 The best way to learn more about this fascinating place is to visit the Železniki Museum. There are 12 collections over three floors crammed into the beautiful 17th century ironworkers house. There are an impressive number of models, some of which also ‘come to life’ with moving parts and/or sound. 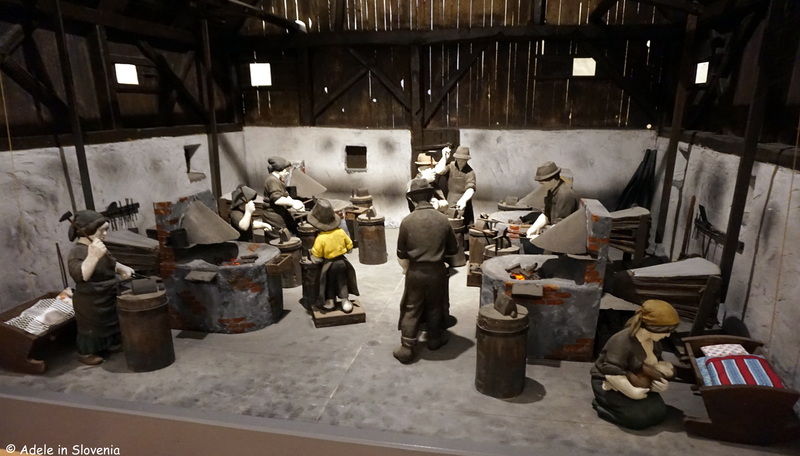 Collections include the iron industry, the timber industry, lace-making, and the National Liberation Battle in the valley. Get a glimpse into the working of a timber mill. And maybe even try your hand at lace-bobbin work. Believe me, it’s a skilled trade requiring patience and dexterity, both of which, in this case at least, I clearly lack! Once you’ve mastered it, then you can produce all manner of intricate patterns. 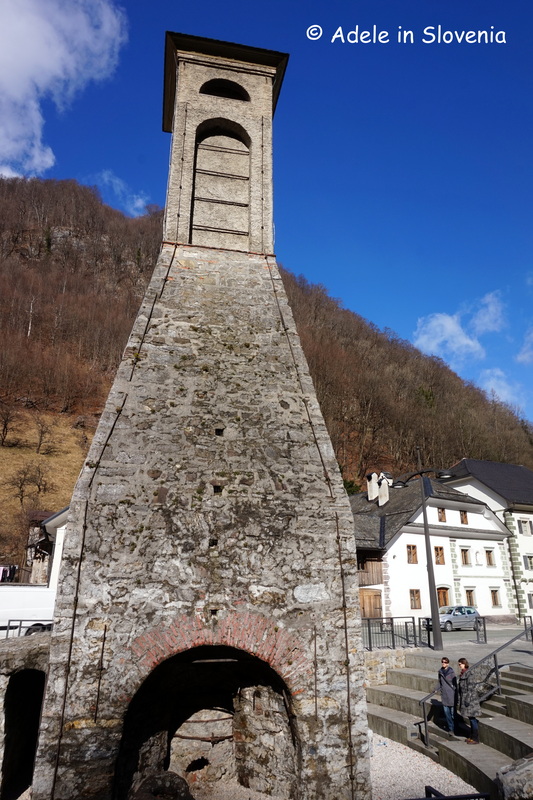 The remains of the last mighty blast furnace, used for smelting iron-ore, known to be the only preserved furnace of its kind in Europe, are directly opposite the museum. 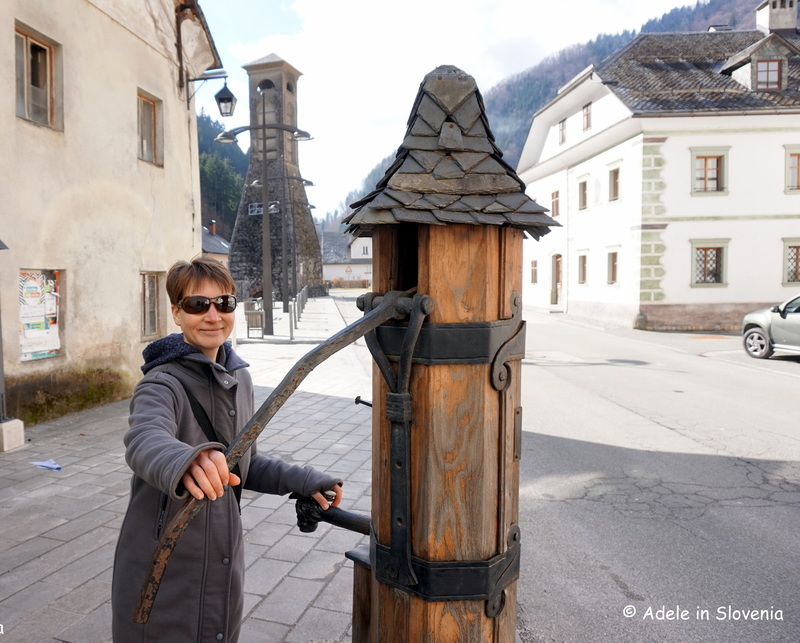 After visiting the museum I recommend taking a walk through the old part of the town beside the Selca Sora river, from where you can admire the traditional ironworkers houses, some still with the traditional slate roofs, and, if you get lucky with the weather, bask in the sunshine! Plnada is the oldest house in the town. The well, known locally as ‘Šterna na Plavžu’, was renovated and erected on the occasion of the 40th Lacemaking Days event. In the past the well provided water for 40 houses in the upper part of the town. 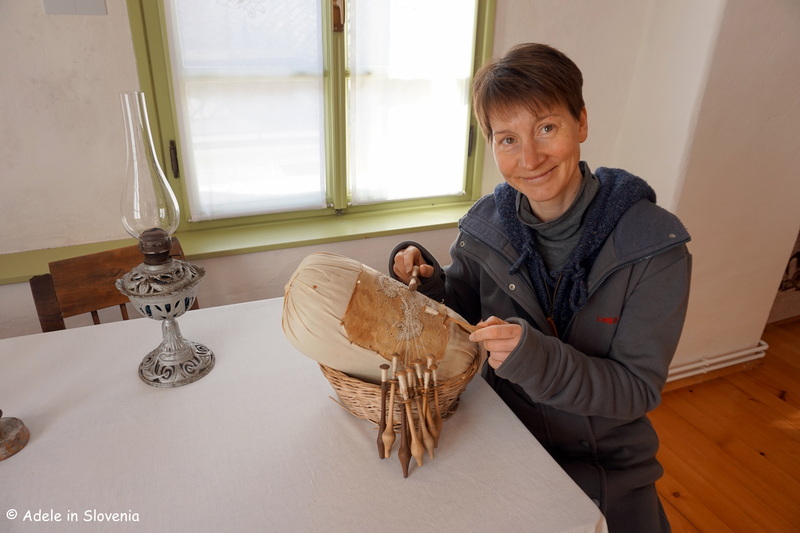 This year the 55th Lacemaking Days event takes place from 12- 16 July. 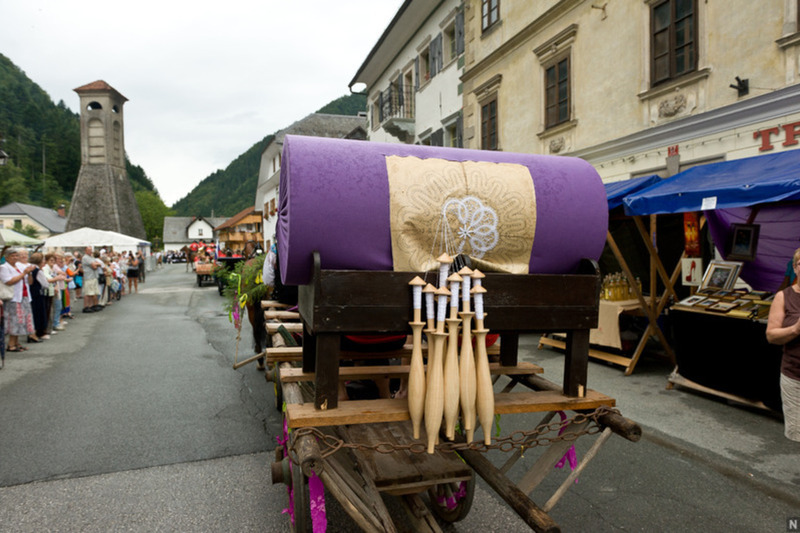 The rich cultural programme includes a craft market, organ grinders, a procession, and even a 24-hour lacemaking competition. The main parade will take place on Sunday 16th July at 2pm. You can also visit the museum and admire the windows of the town’s houses which are adorned with lace during the event. 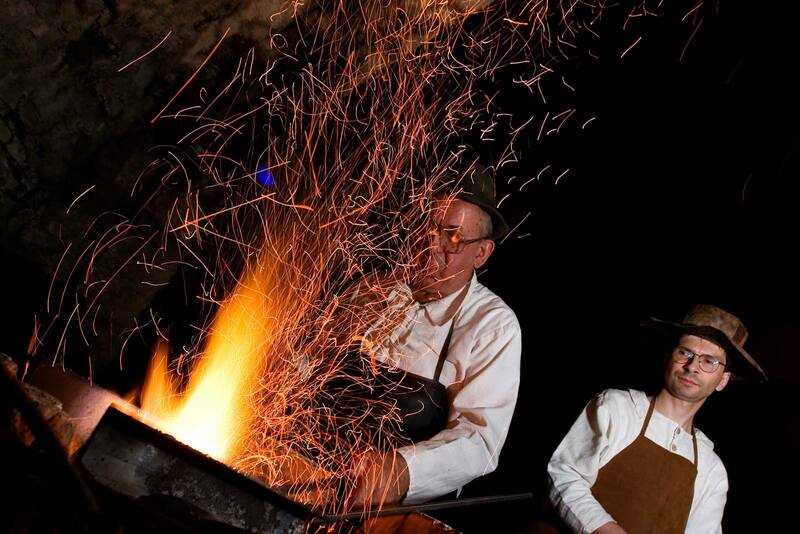 On Saturday 15th July at 9pm, and on Sunday 16th July from 3pm you can watch demonstrations of manual iron forging with Železniki blacksmiths and have a go at making your own nails. 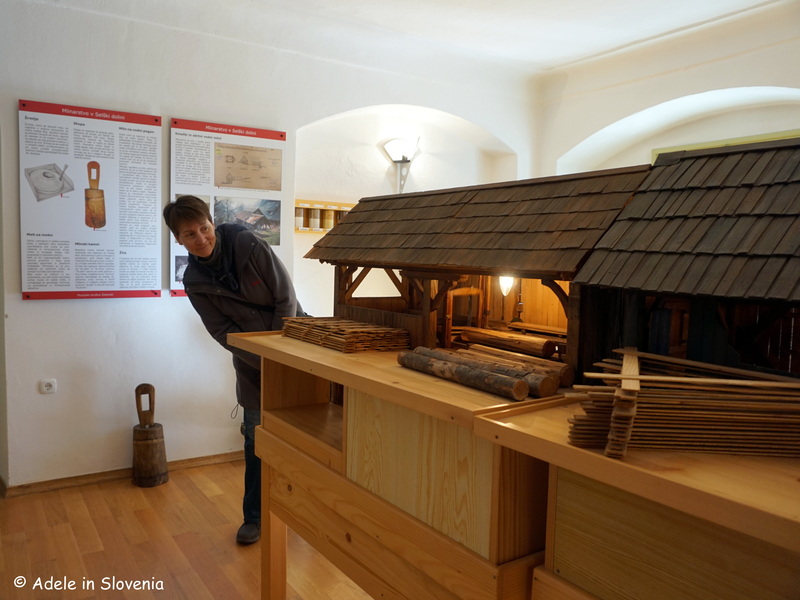 The full programme is below (in Slovene), or you can contact the Železniki Tourist Information Centre or Visit Škofja Loka for more information. Interesting, earlier this year the Municipality of Železniki was declared the best out of Slovenia’s 211 municipalities in which to live in Slovenia in terms of a number of factors including health of its residents, availability of accommodation, access to nature and leisure facilities etc. 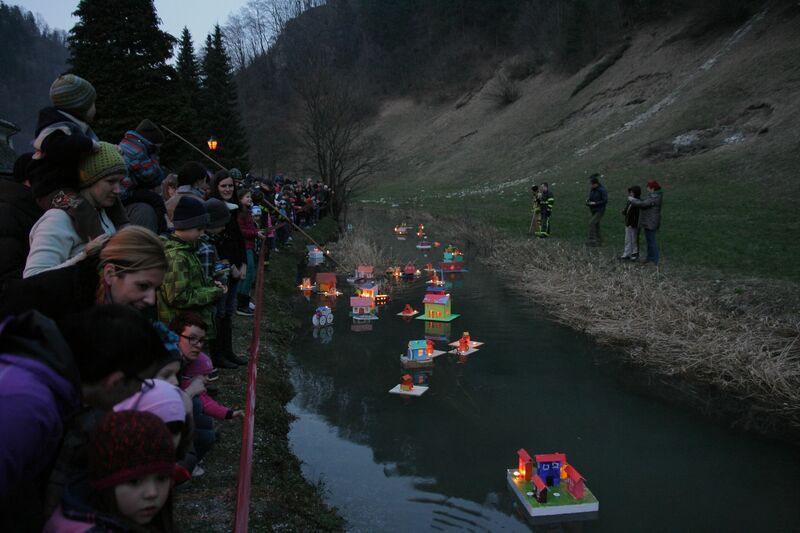 One of the town’s most popular events is ‘Luč v vodo’ (Lights in the Water), an age-old iron-forging custom takes place annually in March. The models, which are a mixture of unique art creations made from paper, cardboard and wood with candles affixed either on the exterior or interior, create a colourful effect against the dusk setting. This custom dates back to the era of manual iron-forging, before the introduction of the Gregorian calendar in 1582, when the name day of St. Gregory was considered the first day of spring. 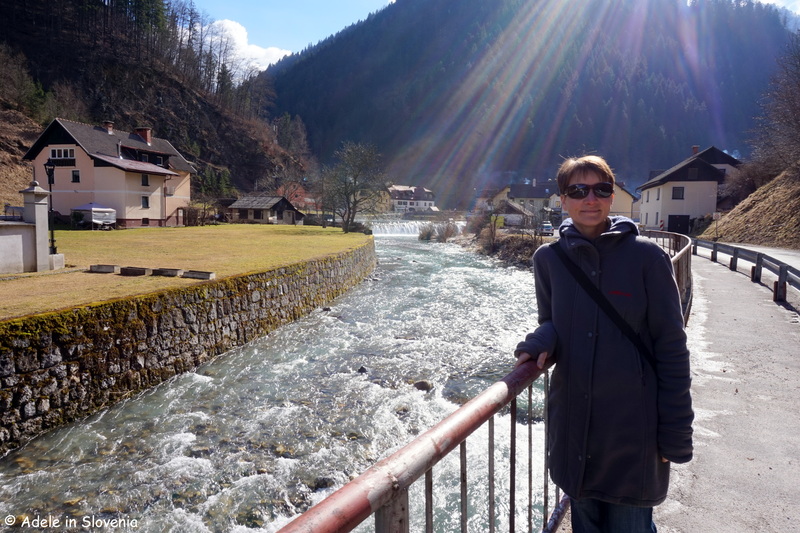 Other sights of interest nearby include the Lomski slap waterfall, the stone bridges in Kovže and below Griva, numerous examples of architectural ironwork heritage, and hiking trails, including to Ratitovec – about which I will be writing more in the not too distant future!